When Matt Costa first started writing for his fourth full-length album, he envisioned the end result as a stripped-down selection of rootsy folk songs. But once he plunged into the songwriting process something much more grandiose and sonically adventurous began to emerge. Soon Costa found himself in the midst of a highly unanticipated yet deeply expansive evolution of artistry as a singer, songwriter and multi-instrumentalist. “The songs started morphing and twisting and taking on a more mystic sound,” says Costa, “and at the same time I began opening up my sense of what’s possible with melody.” Thanks to his resculpting those songs with elaborate yet naturalistic instrumentation and some boldly inventive merging of disparate musical styles—as well as decamping to Glasgow to record with longtime Belle & Sebastian/Mogwai cohort Tony Doogan and an illustrious ensemble of Scottish musicians—the new self-titled release proves to be Costa’s most ambitious and magnetic album to date. The follow-up to 2010’s Mobile Chateau (hailed as a “gorgeously garage-sounding album with organic percussion instruments, crackling tube-driven amps, and jangly guitars cascading in every direction” by AllMusic), The new record again reveals Costa’s penchant for blending sun-soaked pop with sweetly ethereal, British-folk-influenced rock. But in a marked developmental departure, Costa builds on that pairing with lush arrangements and sprawling melodies that elevate his sound to a stunning new level. Produced by Doogan (also known for his work with Teenage Fanclub, Mojave 3, and Super Furry Animals) and recorded at Castle of Doom (the Glasgow recording studio created by Doogan and Mogwai), the ferociously creative self titled LP also features a prestigious lineup of supporting musicians, including Costa’s friend and guitarist Danny Garcia, Belle & Sebastian guitarist Stevie Jackson and bassist Bobby Kildea, and former Isobel Campbell collaborators Chris Geddes (organ) and Dave McGowan (pedal steel, piano, double bass). For Costa—who taught himself to play guitar at age 12 by strumming along to Nirvana records—the musical evolution evinced on Matt Costa came from some careful studying of orchestral approaches to composing songs. “Once I got really into writing I knew I was going to add strings to the songs, so I listened to a lot of symphonies and a lot of Mozart, then played around with figuring that all out on guitar,” says Costa. “It was a huge help in terms of giving me the inspiration to work with more interesting chords and these bigger, grander themes.” Costa also focused on constructing songs that could accommodate horn arrangements, a throwback to his childhood days of playing the trumpet (an instrument he ended up pawning at age 17 to get the cash to purchase a Rolling Stones songbook). Throughout Matt Costa, the artist shakes up those sophisticated arrangements with infectious melodies, artful touches of whimsy, and elegant lyrics rendered in lilting yet powerful vocals. On the lead single “Good Times,” for instance, he offers up a cabaret-worthy, piano-driven stomper with a clever twist at its chorus (“Good times are coming/To an end”). Another deceptively breezy number, “Loving You” finds Costa channeling T. Rex’s glammy romanticism and freewheeling pop spirit as he reminisces about the carefree early days of a longtime love. On “Shotgun,” meanwhile, he brightens up a melancholy meditation on his fascination with tragic figures (“All the winners I know were just born to lose”) by weaving in shimmering guitars, falsetto harmonies, and a pounding, handclap-backed beat. Even in its quieter moments, the intricately textured soundscape and storytelling give the album a hypnotic intensity. With its warm strings and sorrowful horns, “Clipped Wings” perfectly captures the nostalgia for the boldness that comes with youth (“Once we were young and lived dangerous/But the rains poured down/They started to change us/We both grew so ancient”), while the dreamy and fluttering “Early November” makes for a more than worthy response to Sandy Denny’s 1971 reverie “Late November.” Inspired by a classic track from another one of Costa’s musical heroes (the Neil Young-penned “Expecting to Fly” from Buffalo Springfield), “Golden Cathedrals” enchants and entrances with its gauzy orchestration and angelic harmonies. And while the mournful “Silver Sea” comes on like a gutsy revival of a traditional folk song, its subtly haunting message feels strikingly of-the-moment. Indeed, Costa’s Southern California roots have long played a key role in guiding his musical career. A former skateboarder once on the verge of going pro, Costa suffered a broken leg at age 19 and shifted his attention to music. “I got my first electric guitar when I was a kid, but ended up trading it to a friend for some skate shoes and a board,” he recalls. “Then when I was 18, I bought an acoustic and learned how to finger-pick like Donovan and started teaching myself Bob Dylan songs.” Costa next tried his hand at songwriting, as well as recording his own demos with the help of a four-track. 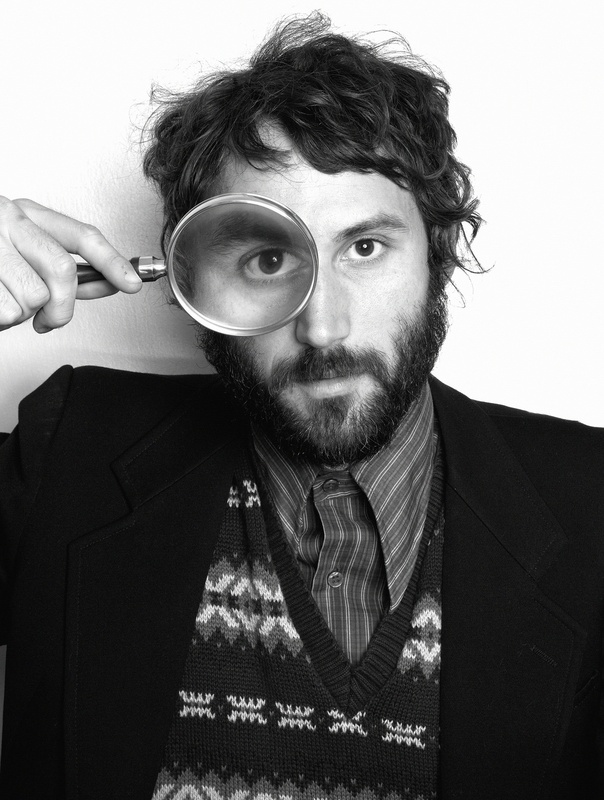 In 2003 he released his debut EP (the simply titled Matt Costa EP, produced by No Doubt guitarist Tom Dumont) and, in 2005, put out his first full-length album (Songs We Sing, which was re-released the following year by Brushfire Records). Costa then devoted the next few years to touring extensively both in the U.S. and abroad, supporting everyone from Modest Mouse to Oasis and playing all of the major U.S. festivals (including Coachella, Lollapalooza, Austin City Limits, Sasquatch and Bonnaroo). In 2008 he recorded his sophomore release Unfamiliar Faces (featuring the tune “Mr. Pitiful,” which was selected for the I Love You, Man soundtrack), and in 2010 self-produced Mobile Chateau.